Perma Master Coat Clear HD is a high build, heavy duty industrial coating based on epoxy resin and hardener. 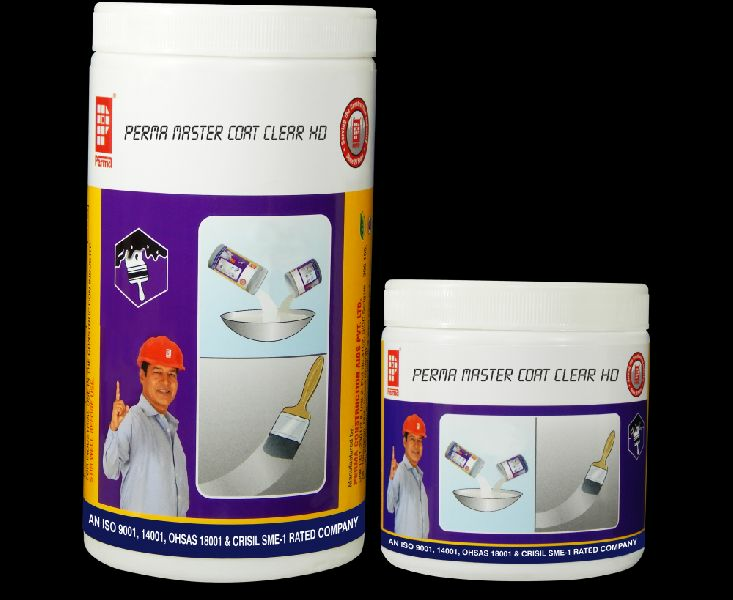 Perma Master Coat Clear HD is especially developed to take the loads that are expected on the floors and walls, metal and concrete structures of a factory. The product is supplied as two-pack system comprising of base and hardener. It requires only onsite mixing Jo produce an easily applied chemical resistant finish. Perma Master Coat Clear HD coating can easily be built up to higher thickness by subsequent coats. We manufacture, export and supply the qualitative range of Perma Master Coat Clear HD.